People waiting for Scottie Lewis news may have to hold on for a few weeks as the word on the street is that he isn’t quite ready to make a call. Florida was feeling optimistic after what was said to be a solid official visit two weekends ago, one that netted the Gators a preferred walk-on commitment of Lewis’ best friend in Alex Klatsky, but they couldn’t get a commitment while he was on campus. After taking his visit to Kentucky, the school seen as the Gators’ biggest competition for Lewis’ talents, this past weekend many expected him to weigh his options and make a call sometime this week though it’s now seeming like that won’t be the case. He has an official visit scheduled to St. John’s for the first weekend in October and though recruiting analysts don’t see the Red Storm as too heavily in the mix it looks like they will still get their shot, likely pushing back the timeline of Lewis’ decision. That visit could be moved up, but even if it is, we’ll probably have to wait on any news for a couple weeks. 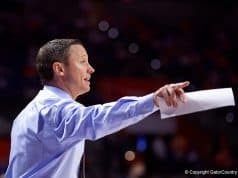 St. John’s currently has no recruits for the 2019 class and a trio of 3-stars for 2018 so they might be punching out of their weight class in pursuit of Lewis but their advantage of the “hometown” school (relative to where he goes to high school at Ranney, the Gators have the hometown advantage when it comes to family ties) could be their calling card. That, and the chance for Lewis to unquestionably be “the guy” for them, though I don’t think he’ll have any trouble being the star at any institution he decides to join. The next few weeks could give Alex Klatsky the chance to sell Lewis on the Gators but could also give a team like Villanova a chance to get back into the mix. Villanova got the commitment from Lewis’ fellow top-10 teammate Brian Antoine and even though Villanova isn’t considered one of the favorites to land Lewis most analysts had Antoine heading to Duke so you can’t count out Jay Wright when it comes to this recruitment. From the accounts of Kentucky media Lewis’ visit went well but from the outside perspective of someone like, say, me, it seemed a little odd. 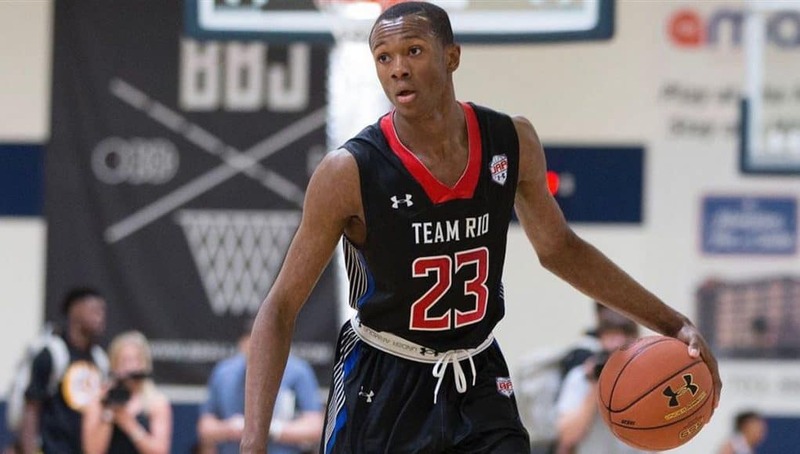 Now, I have no idea what exactly he did while he was there or what pitch they gave him but what I do know is Calipari left halfway through the visit to fly to Memphis and visit James Wiseman, the #1 player in 2019. That same weekend, while Lewis was still on campus in Lexington, Calipari flew from Memphis to Minnesota to then see Zeke Nnaji and Matthew Hurt, two of their other high-profile targets. 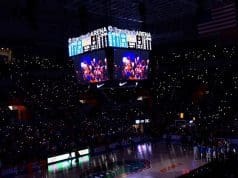 Now this would just be my personal opinion, but leaving while Lewis is on an official visit to go recruit other players can’t make Lewis feel like the #1 priority and from a Florida perspective that will hopefully give him a glimpse of what the circumstance will be like if he chooses to become a Wildcat. Calipari has also ramped up his recruitment of Lewis’ teammate Aidan Igiehon, a monster of a big man, and luring the player nicknamed “The Irish Hulk” might help them land Lewis though it’s said he’s not necessarily intrigued by any package deals and Villanova might still have the edge if Lewis is in fact looking to play with a high school teammate. Holding a robust 93% of the 247 Crystal Ball predictions for Lewis a few days ago the 3-day visit to Kentucky by Lewis was enough for some analysts to back off their prediction of Lewis to Florida, most notably the heavy-hitters in the recruiting world Evan Daniels and Corey Evans. Fortunately for the Gators, they shifted their position to “cloudy” and they didn’t predict him to another school. The Gators are still looking good in the eyes of most analysts with 82%, so you can put as much stock into that as you please. In other recruiting news, the Gators put out an offer to JUCO Dimon Carrigan. 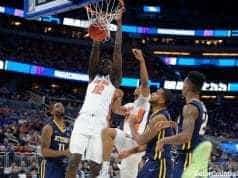 An incredible shot blocker, Carrigan was a former 3-star recruit who had a bit of trouble finding his footing in college basketball leading to his current junior college position. He is the second junior college player the team has offered, joining shooter Jonah Antonio, and shows the staff keeping lots of options open in case they have a player turn pro early. If someone like Keith Stone or Andrew Nembhard decided to turn pro after this season their wouldn’t be many 2019 players of quality remaining on the board but the JUCO players would still be available and could be some valuable late-spring adds. The Gators also had a nice unofficial visit with Cade Cunningham, a 5-star wing from the class of 2020. He’s attending Montverde Academy this year which should give the Gators a good chance to build a relationship and he’ll be a major name to watch in the next recruiting cycle. Though we thought we might get some big news this week it may not be meant to be, but good things come to those who wait….right?